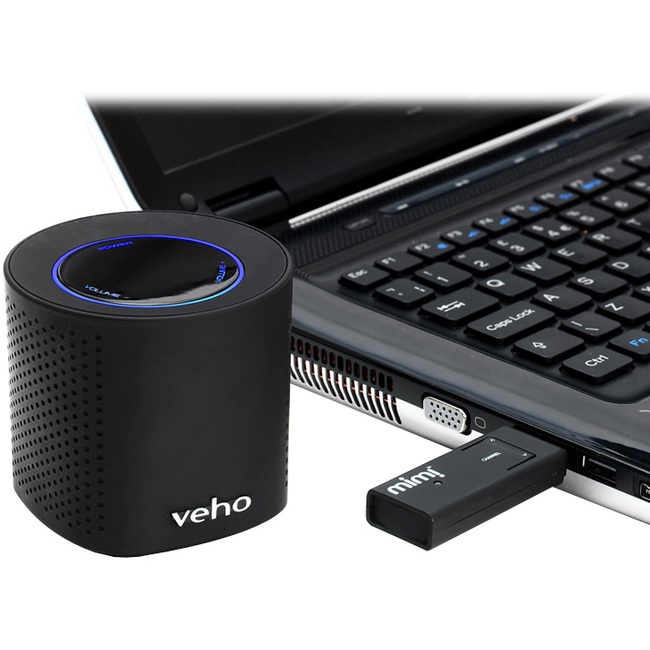 Veho Mimi Qube Speaker System | Product overview | What Hi-Fi? Ultra small footprint yet powerful WiFi speaker system. Starter kit includes USB dongle to connect to your notebook/PC or Mimi console system.The unique new Mimi wireless speaker system allows you to quickly and easily stream music around your home and garden using WiFi technology. Using the supplied plug and play USB transmitting dongle you can transmit music or sounds from your PC or Mac between 30 to 50m (dependant on environment).You can simultaneously pair an infinite number of speakers with a single dongle so whether you want to stream iTunes, Spotify, internet radio or any other media player, you can listen anywhere in the home or garden at the same time.